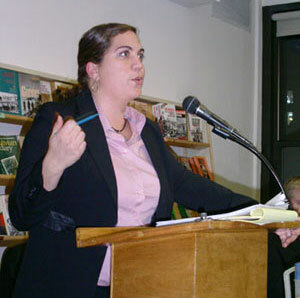 NEW YORKThe Socialist Workers 2008 campaign has Olympia Newton as its national campaign director and Sam Manuel as its national chairperson. Newton, 29, is the editor of the Militant and a member of the Socialist Workers Party National Committee. She joined the Young Socialists in 1997 in Washington, D.C.
As Socialist Workers candidate for California secretary of state in 2002, Newton traveled to Venezuela shortly after popular mobilizations overthrew a U.S.-backed coup against the government of Hugo Chávez. Previously she ran on the Socialist Workers ticket for Washington, D.C., City Council in 1998 and for New York City Council in 2001. In 2003 she was state spokesperson for the Young Socialists for Britton, which organized young people campaigning for the Socialist Workers candidate for governor of California, Joel Britton. That year Newton also helped organize nearly 300 young people to travel to revolutionary Cuba for a Cuba-U.S. Youth Exchange. In 2004, living in Price, Utah, she built solidarity with coal miners fighting for union representation at the nearby Co-Op mine. Manuel, 58, is the Militants Washington correspondent. 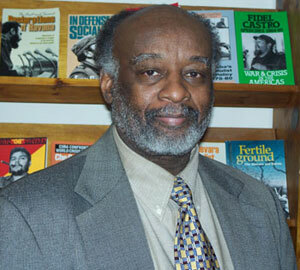 He joined the socialist movement in 1970 as a leader of the Black Student Union at Georgia State University in Atlanta. A longtime opponent of imperialist war, he was a staff member of the National Peace Action Coalition Against the War during the Vietnam War. In the 1980s he traveled extensively in southern Africa as a Militant reporter and was part of the U.S. delegation to a 1993 international conference against apartheid held in Johannesburg, South Africa. Manuel has been active in the labor movement, working as a steelworker, railroad conductor, and meat packer. In 2006 he traveled in West Virginia and Kentucky reporting on the consequences of the coal bosses profit drive for the safety and lives of miners. A year earlier he led Militant reporting teams in Alabama, Mississippi, and New Orleans in the wake of Hurricane Katrina. Manuel has run for office on the Socialist Workers ticket numerous times since 1973. In 2006 he was the partys candidate for mayor of Washington and is currently running for city council at-large in that city.